At Byler Industrial Tool, we know how important it is for our customers to get machines, tools, and components that produce the most consistent, accurate, and reliable results. But we also know that heavy machinery that utilizes fast-spinning and sharp blades, bits, and knives can pose serious risks to users and people who are in close vicinity to the equipment. The most efficient metal or wood workshop isn’t worth using if it isn’t safe and its users and employees aren’t well-protected. That’s why we’re proud to introduce our line of safety products. It’s our goal to provide everything you need to make your workshop or business successful—including the items necessary to protect yourself and your employees. Safety Isn’t Optional. Outfit Your Business Today. Since 1971, all workplaces in the U.S. have been subject to rules and regulations imposed by the Occupational Safety and Health Act—also known as OSHA. OSHA is especially important in workplaces where heavy machinery and sharp tools are used, as the risks that workers face can be higher than in other businesses. Harnesses and safety straps—Harnesses and safety straps have a variety of uses in industrial applications, including keeping workers safe when they’re in elevated positions. Our 3M™ vest-style harnesses and suspension trauma safety straps can keep you and your employees safe. 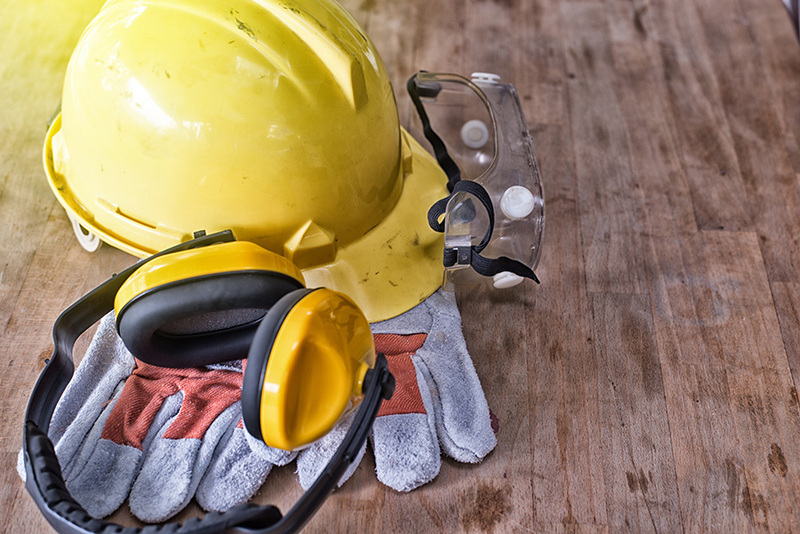 Earplugs, headgear, and faceshields—Industrial workplaces can be hazardous due to loud noises and debris. Our 3M™ ear plugs are designed to provide excellent hearing protection in even the loudest environments, while our 3M™ headgear and faceshields keep workers safe when welding, cutting, or drilling. Safety vests—Visibility is essential for workers in industrial, manufacturing, and construction workplace environments. We offer a variety of Class 2 safety vests, all of which are designed to make workers easily seen from long distances and while traveling at high speeds. Gloves and body support systems—Our Alphatec® neoprene-coated gloves keep workers’ hands safe from caustic chemicals, while our back and abs support system are designed to prevent muscle strain and injuries when working with heavy objects. Want to Learn More About Our Safety Products? Contact Us Today. Whether you need hardware, sharpening, or components for your industrial business, you can count on Byler Industrial Tool to have what you need. Call us at (615) 763-6227 or submit an online contact form today to place you order or to request more information about our products and services.